Oh the morning coffee! It sounds so good until… you start feeling uneasy and crash. The Mayo Clinic revealed that consuming even moderate amounts of caffeine can lead to negative side effects. So, if you want to prevent the insomnia, heartburns and mood swings, we recommend you trade morning caffeine for one of these healthier options. Originated in the Peruvian mountains, Maca has become very popular for it’s many nutritional benefits. VegKitchen recommends taking ½ tsp. every other day to decrease fatigue, build up muscle and increase both stamina and endurance. Definitely a healthier and more effective option to give you an energy boost in the morning! Although it contains some caffeine, experts from Livestrong.com state that consuming yerba mate doesn’t cause the crash. Being a mixture of stems and leaves (also from South America), yerba mate has been used as an energizing drink for generations. True it doesn’t have the best taste but the benefits pay up for it! Fruits are low in fat, rich in vitamins and have no caffeine, cholesterol or refined sugars. Plus, they have the best taste. If you’re looking to boost your energy levels in the morning try consuming citric blends, add a lot of greens and combine with vegetables and healthy oils. Sure it takes some time to prepare a smoothie, but it can get easier if you have a great recipe in hand. So, if you must have that caffeine kick, then I recommend you choose matcha green tea over coffee. Why? Well, Epicmatcha.com summarized in two major points. First, matcha contains amino acids that break caffeine more slowly preventing the crash and creating a calming effect instead. And second, matcha provides many more health benefits than coffee. Matcha is one of the best sources of antioxidants out there, it contains many vitamins and it helps with weight loss and anxiety. This is a no brainer. Clean water is the most natural and accessible source of energy you’ll find. Drinking water in the morning not only hydrates you but also boosts your metabolism and wakes up your brain. And, if you boost it by adding ginger, citric fruits or honey…the energizing effects will be even higher! If you enjoyed this post, please let us know in the comments! 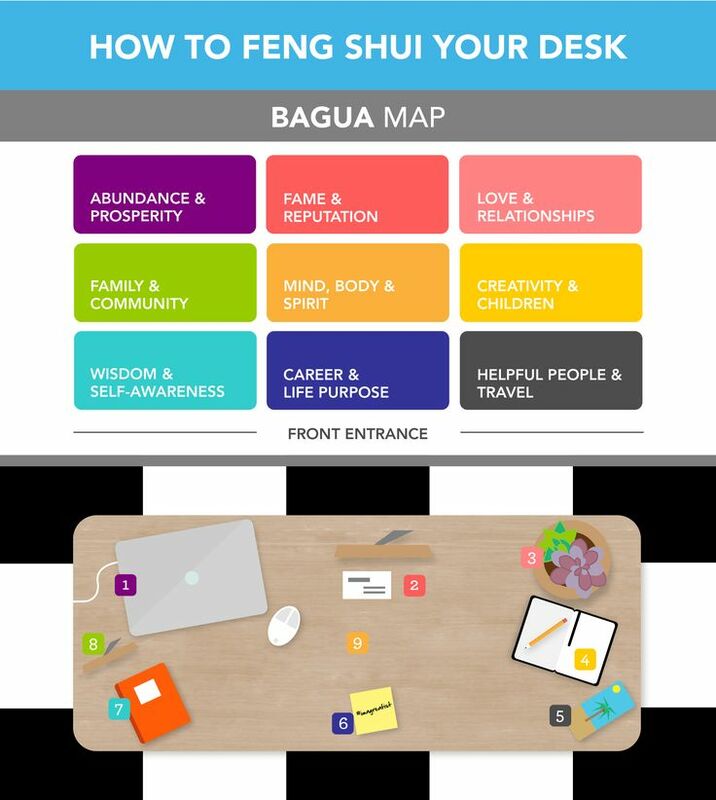 Feng Shui: Transform Your Office In 5 Steps! Although I’m no “Feng Shui” expert, I’ve managed to discover it’s great power! To lead a more positive and successful life experts suggest that you transform your environments into places were you feel safe, happy and at peace. And, since you probably spend most of your day at the office, why not start there? Here are 5 easy-to-accomplish tasks that will have a great impact and will require little effort! Feng Shui practitioners insist that the first step into a better environment is a “clear air”. And yes…plants are the best element to accomplish this! 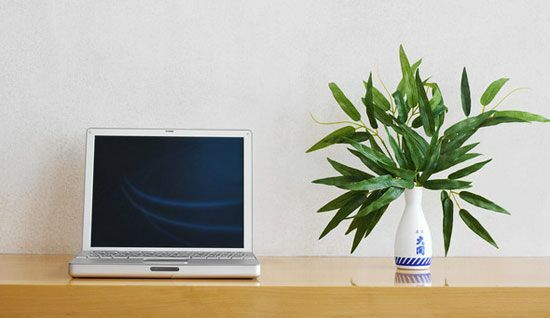 According to Smallbiztrends and Greatist.com, there are many plants that could make your office look great but they recommend these for better results (regarding health benefits, maintenance and air purification): Peace Lily, English Ivy, Aloe, Garden Mum, Spider Plant and Weeping Fig. Small, effective and….cheap! Experts agree that having optimal lighting is very important for productivity. If you want to improve your results you must improve your “visual performance” and adjusting the color, direction and level of light to your eyes’ needs. Lighting Deluxe suggests you create a balance between daylight and artificial light and avoid glare or shadiness at all costs. Try not to have light hitting windows or computer screens directly and place all artificial light somewhere it doesn’t hit your eyes directly. Choose the illumination intensity that makes your eyes feel “at ease”, using light tones that inspire you to stay awake but at peace. And…as an extra tip, try to use energy-saving products to cut costs and reduce carbon footprint. Putting pictures of your partner and/or family on your desk is a great way to enhance the “good vibes”. It brings positive thoughts and in turn it stimulates you to do better. To take full advantage of these pictures, “Feng Shuists” recommends putting the picture of a partner on the “right back corner” of the desk and that of family on the left center corner, in front of the computer screen. Also, it is advised to keep at least half of your desk free of things to let the air flow more easily and reduce any chances of stress and overwhelm. The bottom line here is that color matters….a LOT! When if comes to color experts suggest you never stick only to one, since different colors stimulate different parts of yourself. Experts recommend blue to inspire productivity and loyalty, green to create balance, yellow to spur creativity and orange to create a sense of emotion. As I mentioned in a previous post, nothing will change if your inner self is not ok. So even if you re-arrange your office space, if you’re not happy with yourself the new look will get old pretty quickly. If you want to learn more techniques to be and stay “mindful” keep reading here. I hope you enjoyed this short post and that you let us know in the comments! Recent studies show that multitasking is indeed the worst thing you can do to your brain. Practicing many things at once does not only affect your focus and memory but also your emotional stability and productivity. When you stop being “present” your mind immediately goes into “auto” mode, blocking your brain’s ability to identify, analyze and rationalize information. And why is this a problem? At work it could lead to mediocre reports, decreased attention to detail and very expensive mistakes. And in life it leads to bad relationship management, exhaustion and low self-esteem. To avoid getting overwhelmed by thoughts and information, experts developed the “mindful” way of living. 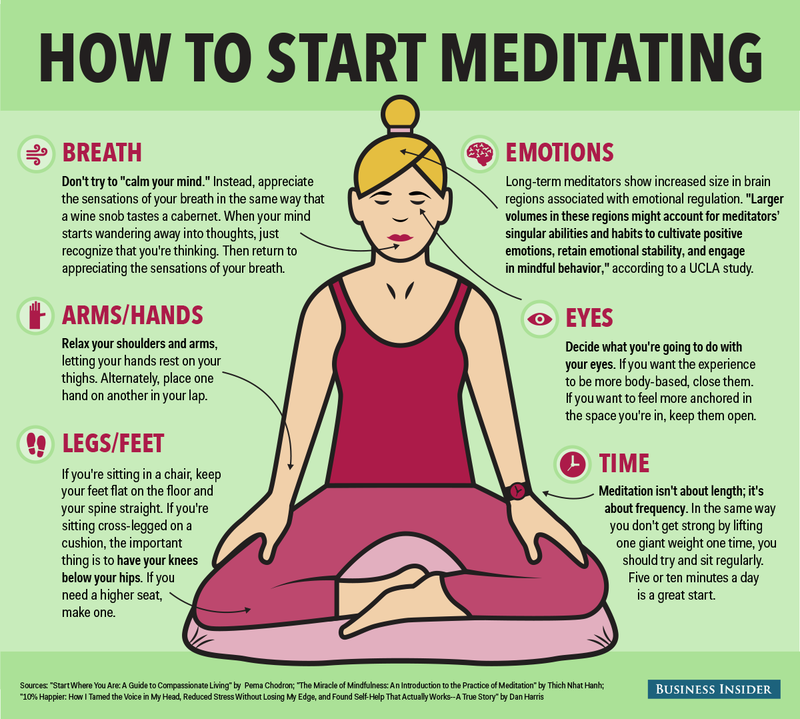 Mindfulness encompasses many exercises that help you refocus and live the present, and today we will share some you can practice at work even when it gets super busy! How many times have you forgotten where you parked? Or how you got somewhere? Well, that’s probably because you were thinking about the presentation, the kids and the dinner party while walking. Mindful walking is about engaging with your actual surroundings and stopping yourself from thinking of what’s not in front of you. You can walk mindfully anywhere, from your desk to the water fountain, or from the parking place to the elevator. The goal is to empower your mind to be present and engage with what is actually happening (the view, the smells, the sounds, etc.) and now with what you can’t control. This exercise varies from person to person. Each pause is a minute for you. Take time to breathe and examine if all your physical and emotional needs are being met. Are you thirsty or cold? Is there anything bothering you that you need to work out? If you can deal with it right away, do so. If not, note it and tell yourself you will take care of it as soon as possible. Acknowledging your needs reminds you that YOU matter and refocuses your mind to the present moment. Take a minute in between meetings to disconnect yourself from the world and stretch. Stretching does not only release tension but also refocuses your mind and lowers stress levels. Try to complete a short hatha yoga routine holding each pose for 20 seconds. As you do it, choose not to engage with any outside thought that comes into your mind. Focus only on your body and breath. You can play some music if that suits you. This is my personal favorite. When you meditate you let yourself go in a calmed state of acceptance. Take 10 minutes to sit down, keep your back and neck straight, close your eyes and choose to focus only on your breath or what’s around you. Try to engage only with what you have now and keep yourself grounded to the present through your breath. These are only a few practices to keep you mindful during work. Nonetheless, you don’t have to limit yourself to these. If you’re serious abut improving your everyday wellbeing I highly recommend you research more practices that fit your lifestyle! If you found this post useful, please let us know in the comments! Sometimes it can be really hard to stay focused and organized throughout the day. But it’s not impossible! To avoid stress in the morning, try to plan your next day before you go to bed. Check your calendar or email for any commitments and sketch your next day’s schedule. This allows you to move things around, prepare yourself in advance and make the necessary arrangements so everything runs smoothly. Drinking a glass of warm water as soon as you wake up to restart the body and rehydrate all your internal systems. Start your day earlier to give body and brain time to fully wake up. Give yourself time to do some exercise (stretching, yoga, etc.) and some meditation/prayer before you start the day. Avoid heavy foods and stimulants (energy drinks) in the morning. Whether you’re relaxed or extremely busy in the mornings…never skip breakfast! Your glucose levels drop significantly during the night and if you don’t replenish them early in the morning you run the risk of running out of energy, feel light-headed, increase stress levels and decrease concentration. Health.com has great insight on the topic and have great breakfast food suggestions for fast and slower lifestyles. They recommend oats, Greek yogurt, Fruit, eggs, almonds, cereals and whole-wheat products. Getting there early gives you time to settle, organize your tasks, read a little before it gets crowded and catch up on emails. Leaving home early can also help you avoid traffic, which can decrease your stress levels. Good companies often have their employees working towards the same goal. Good communication is key not only to share strategies and timelines but also to connect with fellow workers and get everyone on the same page and mood. The 5-minute catch-up can help you organize your entire department in a short and sweet manner. Today there are many, many tools to help you organize your days. From Google Calendars to reminder apps to personalized agendas, the options are endless. The key is to know yourself and adopt tools that meet your personal needs and those you’re in charge of. To stay focused it is good to give your brain a 15min break every 45 min. use this time to recharge, rest and refocus. Amongst the many things you can do during break there’s reading, musical meditation, stretching, mind exercises, talking a walk or catch up with friends. Before you leave, make sure you review your “task list” and see how far you got. Then reprioritize tasks and note down any meeting, deliverable or presentation you have for the next day. Reviewing your accomplishments can also help you visualize your progress and reassess how you are managing your time and resources. Read More: Make Work-Life Balance a Reality! After you leave work, make sure you don’t bring it with you. Check all your emails before you leave finish everything before you walk out and then forget about everything (unless you really have to work at home). Waking up early and taking on the day with great determination depends a lot on how you feel inside, and how satisfied you feel with your life. To feel good you need balance, you need things that make you feel alive and filled with purpose. So think about what you love to do and set sometime to do it! Even if its for 10 minutes every day. You can even mix your hobbies with your everyday duties to make them happen! If you found this post helpful, let us know in the comments! An article from Forbes revealed that 94% of professionals clock more than 50 hours/week and some even jump to 65 just to meet work demands. Countless factors such as unemployment, strict operation systems, and corporate climbing (amongst others) have made people addicted to work, leaving little space for friends, family and hobbies consequently hurting their mental and physical health. Australian marketer, Nigel Marsh has spent seven years studying and writing about work-life balance. Through his research he found that most people suffer because they choose jobs and “dreams” that are not compatible with the life they actually lead. If you were raising a young family, for example, it would be very hard to dedicate your full potential to a 65hr/week job. Work-life balance, in turn, becomes a very personal choice and depends on what you value most and how much you’re willing to sacrifice to get it. This does not mean, however, that you can’t work and be a parent or an entrepreneur at the same time. It means you must be willing to divide your potential between tasks and give each one the time it deserves to be done right (not perfect). According to Marsh, you can’t expect to be balanced in a glimpse or live 365 balanced days. Instead, it is recommended to set clear goals and follow a realistic timeframe to achieve them. Say you don’t have time for your hobbies (and that’s very important to you) you can slowly work towards getting a part-time job and then transform your hobby into an extra source of income. To do that you may need weeks even months, but knowing where you’re going keeps you motivated to work for it every day. If you choose to work and lead a personal life, it is key to communicate your choices to those around you, so they know what to expect from you and vice versa. Say you’re working part-time, for example, your boss must know that after 1pm she cannot expect you to do what you would from 8-12. Whatever you do, respect the time you spend on every activity and try to live the present. If you are at work, don’t distract yourself with outside things. And, if you are with your family don’t take away their time by checking emails or answering work calls. Usually we spend endless hours on something because we strive for perfection. To find your balance it is important to perform with quality but not obsess with the details. An article from Forbes suggest you seek to delegate or outsource some activities so you can spend less time worrying about the mess (at the office or at home) and enjoy more of life. To save up time, try to get help from the people and technology around you. You can take meetings over Skype if you need to stay at home, or ask your neighbor to help you with carpool. If you are raising a young family seek “flex-schedules” options or go freelance. When you are clear on how your balance look like it is easier to build a support system around it. To conclude, it is fair to say that work-life balance is all about priorities, time management, communication and commitment! And it can be a reality for you if you are clear on what you want and you work every day towards it. Do not expect to be balanced in one day but also do not wait to start living until retirement comes along! As the world enter the “Fourth Industrial Revolution”, humans must adapt their skill sets to meet future demands. With robots threatening to take over our jobs, we’ve found ourselves in a position to “prove” our potential and to develop valuable competencies no robot could replicate. This skill comes hand in hand with human-centered R&D. According to LinkedIn, to solve complex problems you must learn to ask tough questions. Be quick and accurate when framing a problem and learn to evaluate multiple alternatives at the same time. To solve these types of problems, however, solutions can’t stay on paper. You must prototype as you go and think ahead to be able to scale the solution. We’ve heard so much of critical thinking. Yet, every day you see employees who can crunch the numbers but lack the ability to analyze them. Or people who can read an article but cannot associate the information to draw conclusions. To think “critically”, individuals must be able to properly conceptualize, apply and evaluate information, to later build well-thought judgments that will guide their actions or beliefs. To thrive, now we must learn to ask questions about what we do and why we do it. It won’t be enough to crunch the numbers, now we must to draw conclusions from our work and propose courses of action. This skill has been incredibly underrated in previous years. Often attributed only to artists and artisans, we lost the real meaning creativity and banished it from the workplace unconsciously. To be creative in this era means to think outside the box and requires being able to craft many solutions to one problem and to gather information in the least conventional ways. Creativity, in turn, comes hand in hand with education and eagerness to learn new concepts and not be afraid of failure. Creative individuals often see many possible courses of action for one issue; they are quick thinkers and can achieve a lot using very little. People management is all about empowering individuals to be the best version of themselves both professionally and personally. To “manage” your people is to give them access to development opportunities that will unleash their potential and show them the best way to thrive. It is creating an atmosphere or culture that supports employees and challenges them to perform at their best. Robots can’t yet listen to others and form critical judgment on how to help them thrive. They are not yet fully empathetic or have the ability to coach humans on how to unleash their top potential. Companies, in turn, are looking for individuals that can transform their teammates into more productive people by effectively attending their human needs. Many believe intellectual intelligence means everything and throw emotional intelligence under the bus. Truth is, when things get complicated, no matter how smart someone is if that person can’t deal with his emotions, the entire project, task or negotiation can go down. Emotional intelligence, however, goes beyond controlling your anger or depression. To have a high EQ means your able to detect, control and express your emotions freely. You are not a slave of “how you feel” and you can separate subjective from objective. On top of this, emotionally intelligent people are able to build better interpersonal relations since they can detect, guide and influence other’s emotions as well as their own. That said it is no surprise companies are going crazy for people with higher EQs. They want people who can build more objective judgments but won’t lose empathy for others. And finally, service. Companies are looking for people that can recognize and meet client’s needs even before clients express them. These people must be always ready to help and able to draw quick conclusions based on observation and research. Machines can help us deal with data more accurately but people still hold their place when it comes to “customer service”.